Treat someone special to the perfect gift this season. 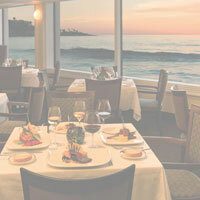 Give the gift of delicious dining by the surf and start a timeless tradition in San Diego. From birthdays and anniversaries to holidays year-round, The Marine Room has celebrated countless special occasions for over 75 years. Purchase a gift card to our surfside La Jolla restaurant in any amount, and spend it in the dining room, lounge or at special events like our Holiday Lunches, San Diego Restaurant Week, cooking classes, and our High Tide Breakfast. Purchase Marine Room gift cards or E-Gift Cards online, in person or by calling 866.644-2351. Click to purchase your Marine Room gift card online.